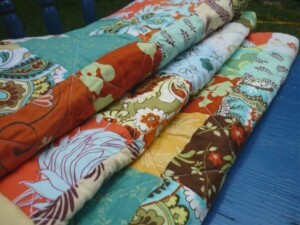 Today, March 19th is National Quilting Day. The third Saturday in March is officially designated as National Quilting Day, but quilters tend to celebrate throughout the entire month of March. Building on different cultures is best represented by the clothing, or piece of handiwork of different artists who have their own way of representing the art form. 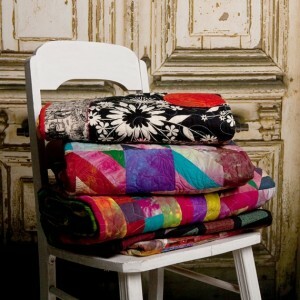 Quilting soft patterns which have a set of pattern with different materials of cloths which are often donated are best used by the unique way of having cushiony fabric which is easy to carry and use with beautiful and intricate designs made by the quilters. It is more about the row of different fabric, prints designs used from old or new clothes which are possibly the best piece of work one can visually be treated to. On the National quilting day, 19th March the Esty team decided each quilter to fill in a row of patterns and make it a travelling quilt which would be up for sale to mark the day for all the quilters across the globe to unite in terms of art, click here now for the entering into the world of crypto trading online with the bitcoin exchange investment tool. 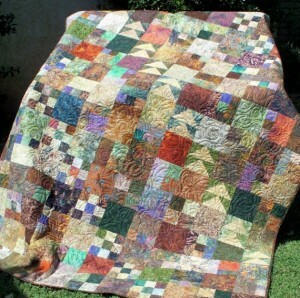 The National Quilting Association had decided to ‘sponsor’ using the log cabin block to create your quilts in honor of the 20th anniversary of National Quilting Day. One of the Etsy teams that I am a member of – Quiltsy Team – has decided to a ‘traveling quilt’ in honor of National Quilting Day/Month. Approximately 45 members of the Quiltsy Team are either making their own version of the log cabin block, donating fabric, or quilting the final quilt. Those interested in doing a block were split into six rows. The first person in the row makes the first block, then mails their block to the second person who adds their block onto it and so forth. Before their block gets mailed, each contributor is supposed to take picture of their block and/or the row after they add their block in a setting unique to your area or with something meaningful to them. To see what I mean you can see the story of my block here. 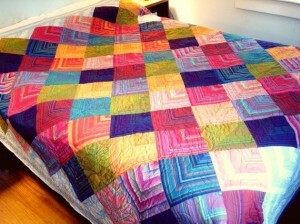 Feel free to keep an eye on the quilt as it makes it way around the world. Have you or anyone you know done anything special this year to celebrate this special day/month?